If anyone has ever read a post written by me before, listened to an interview or simply had a chat about self improvement, they will know I am frequently asked (and address) the common question – ‘what is the most important aspect to self improvement’ – my answer, without hesitation, is always the same: take action. I have always firmly believed that all of the best intentions in the world are nothing with out being taken from the theoretical to the actual and it never ceases to amaze me the instant, kinetic almost chain-like reaction that happens when one takes that first step: contrary to that very difficult, at times seemingly impossible scary first step – the second, then the third come so much easier. And by the 6th or 7th step you are actually floating along, to a natural rhythm you never knew lived within you – that initial struggle now a distant memory. Out of your head and into the world, you are getting things done. You are a body (and mind) in motion. You begin to see a purpose. This is, for me, the essence of improving one’s self, one’s life and the lives of those around you. PickTheBrain has afforded me so many fabulous opportunities (due almost exclusively to the generosity of both the writers and the readers – yes YOU) and as a part of this, I am sent volumes of incredible self improvement books exploring every corner of how to live better – and I am a better person as a result of having access to all of this great work. if you are familiar PTB, you know that I almost never review books. The other day, however, I was sent a copy of a book whose title struck me in a way that it hasn’t in a long, long time. ‘The Happiness of Pursuit.’ A simple play on words – but with a message that instantly connected with that mantra that swirls around me day and night: take action. Follow Yoda’s advice. 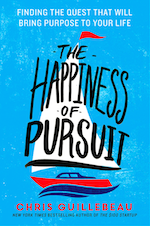 But what struck me more than author, Chris Guillebeau’s, cleverly worded title, was something in the message that I hadn’t thought about in connection with my mantra: yes, of course, DO things – but take joy, find happiness, in that process. 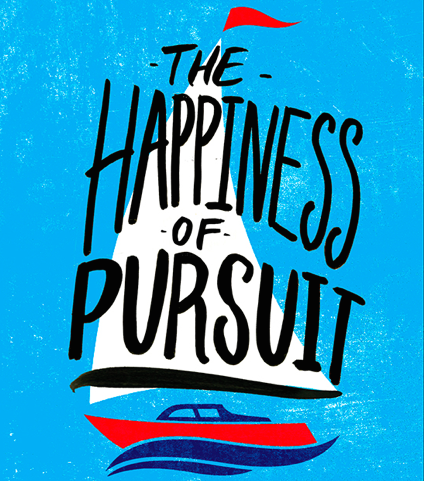 Up until now, i had believed that the happiness that ultimately comes from accomplishing things was the prize, but Guillebeau (who had set his own goal to travel to every country in the world before age 35 – and he did it!!) opened my eyes to something more than that – that the process itself, bears fruit – and that there is ‘a direct ling between ‘questing’ and long-term happiness’ This was a break through idea for me. While I won’t be reviewing his book – all I can do is highly recommend you take inspiration (and then action) as you follow an incredible study of ordinary people doing extraordinary things of all scales, to find meaning, joy and happiness in the pursuit of the great life that lives within all of us. What I will be doing in this article is outlining the 7 Steps necessary, i believe, to start this process – a process that will change (or start) your course. Something that will help change your thinking (as it did mine) from simply pursuing happiness, to finding happiness in the pursuit. This is the basis for everything. You are the basis of you. This is perhaps the most scary part on the whole list – finding out who you truly are – but it is also the most crucial. You have to take the time to ask yourself the hard questions, even if you’re afraid of the answers. But it is only by truly knowing who you really are that you can discover what will truly makes you happy. What excites you? What are you good at? What makes you want to get out of bed early and will keep you buzzing to stay up late? What matters to you. Be honest. Once you have drilled down to a handful of criteria, you can start mapping out your plan. Dreams are nothing without goals. Goals make dreams (and you) accountable. Write them down. Where do you want to be. How are you going to get their. With a succinct set of goals there is a clear vision for where you are and where you want to be. This literal interpretation, in the form of goals, is the blue print or map you need, to be able to chart your course. Once you have you’re larger ‘plan’ in place, it is necessary to break those larger goals (or goal) into palatable bite sized, mini benchmarks. For instance, it is a novel goal to sail across the ocean (as a young teenager does in The Happiness of Pursuit) but without breaking that loftier goal into baby steps, it’s almost impossible to make happen. What training do I need? What equipment do I need? What case studies do I need to memorize? If you’ve gotten to this part, you’ve already done most of the heavy lifting. You are prepared. You have learned. You are already better because of it. So know that. This is the where the adventure really begins. It’s here where it’s time to jump of that metaphorical cliff. Unchain yourself. Take action. Doing is the only thing that does. What else is there to say. You’ve done the work – so dive in. This is the ultimate award. This is where true happiness jumps off the page and onto the stage. This is where one finds the happiness of pursuit. Once you’ve taken the leap, it will be contagious. Trust me. It doesn’t mean everything you do will be a success, but this is how you learn. This is where you learn to find as much joy in failure as in success. Learning is success. This is where it is important, however, to make sure you are on the right track, so it is important to check in and measure how you’re doing. How you’re feeling. Where you can pivot and when to keep attacking. One of the great things about finding joy through the process is that it allows for perspective. Of course you should always keep your larger goal or quest in mind – that’s why you’re doing all of this after all, but remember: things change, people change, circumstances change and ultimately, your goal can change or alter slightly, if you’re conscious and aware of the process. Be open to the unexpected outcome or emotion – this is how we learn and grow. This is what the journey is all about – not just getting to the end but all of the unexpected magic that happens along the way. So be flexible and open to the whatever experience comes your way, knowing you’ve done the work. Life is a system of cycles. We can always be learning, growing, enjoying. Once you have accomplished whatever quest you’ve set out to conquer, don’t rest on your laurels. Set new goals. New standards. Press on. Start again. Feel scared and unsure – this is the very essence of life – working through all of this. 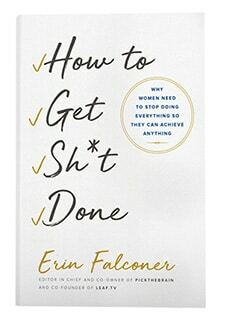 So, while I doubt I’ll have much convincing to do (the thrill of the pursuit of accomplishment, itself is more than enough of an incentive) – I will end as I started: ‘A body in motion, stays in motion’ and who the hell wants to be stuck?